Good Sam Travel Guide Rated 10/10*/10 for seven years running! "A" Rated by GuestReviews.com six years running. 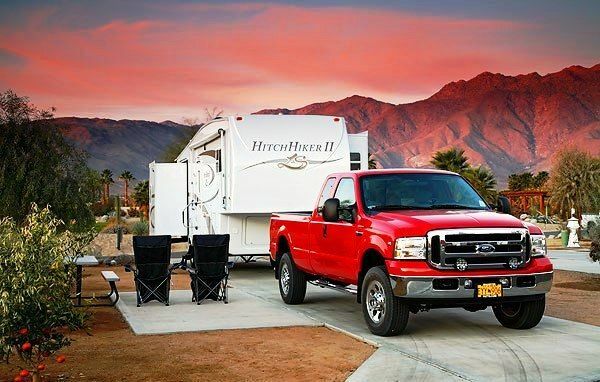 Guest Reviews is ARVC's online rating system where guests review RV parks after staying there. Our guests have rated us in the highest "A" category, which was received by only 32 of the 2,400 participating parks! 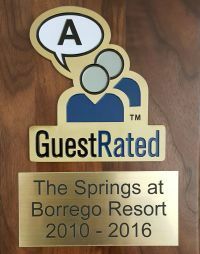 The Springs at Borrego is a luxury RV resort located in beautiful and serene Borrego Springs, California. 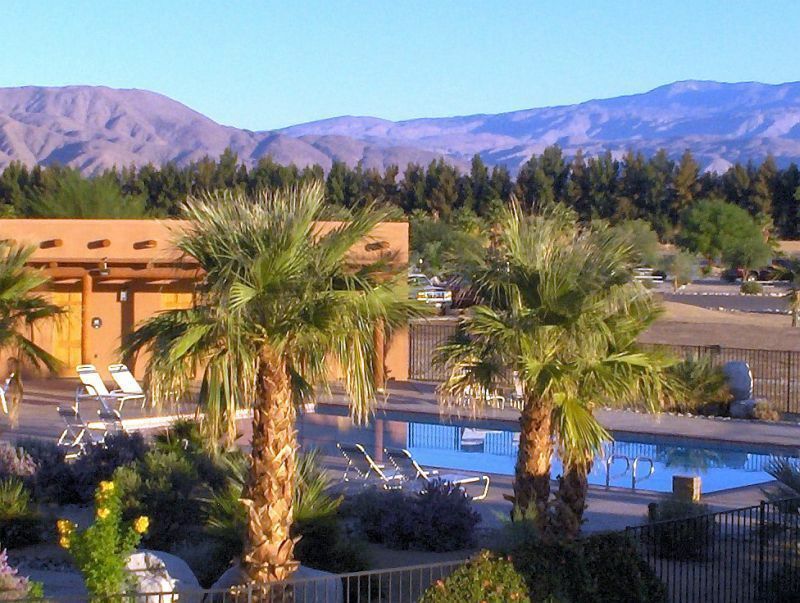 We are a family-owned and operated business that makes your desert vacation experience our top priority. 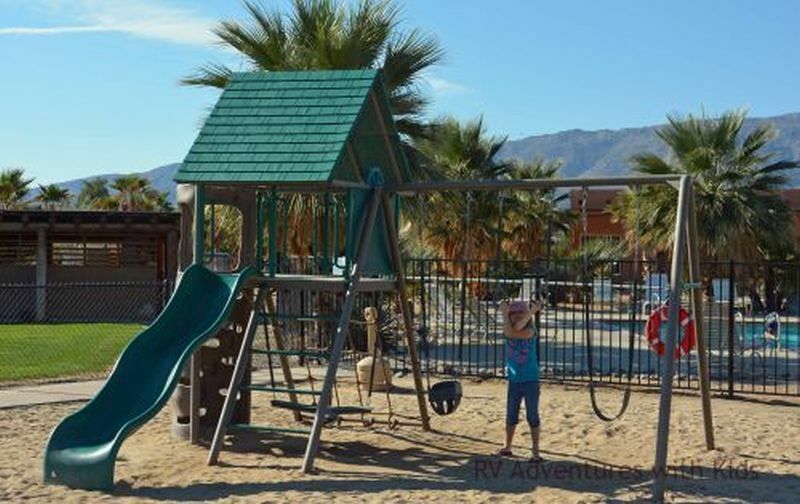 Located within the splendor of Anza-Borrego Desert State Park, The Springs provides spacious RV sites, top-notch amenities, and numerous recreational activities. Square off in a fierce game of pickle ball! Borrego Springs is the only International Dark Sky Community in California? The average annual temperature is 73 degrees with 300+ days of sunshine? Anza-Borrego Desert State Park—your hiking, camping, and off-roading paradise—is the largest state park in all of California? 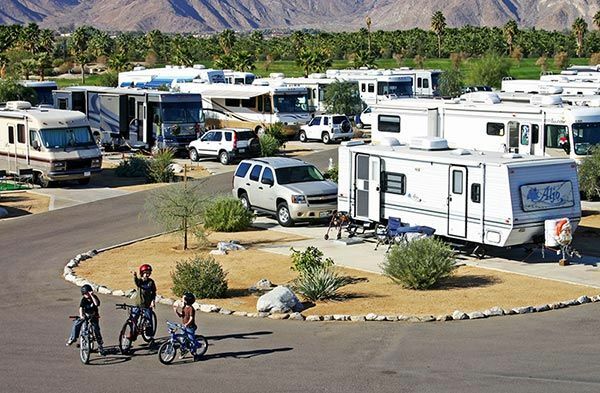 The Springs at Borrego RV Resort is Big Rig friendly, so bring your motor home or trailer to be as active or as relaxed as you please in California's Secret Desert™! Located 2 hours from San Diego and 3 hours from Los Angeles, Borrego Springs has the climate of Palm Springs but is without the crowds. Now offering secure and affordable RV storage—short or long term. Save fuel and leave your rig with us! 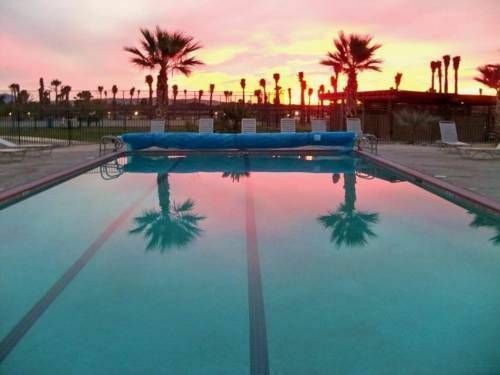 Come soak up the sun and see for yourself why The Springs at Borrego RV Resort & Golf Course has been voted the best small RV park in all of North America!